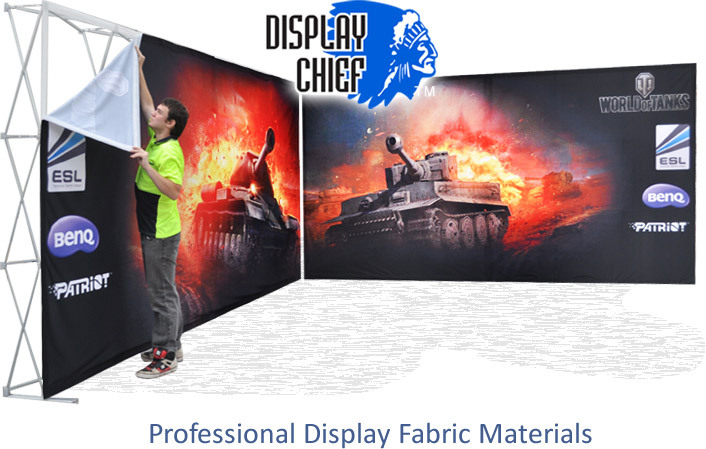 Display Chief is very popular fabric banner for Trade Show Graphics, Exhibition, Expo and Presentation. Trade Show wall, feature and graphics. Display Chief (DCPU) is a smooth polymeric fabric material designed for heat treated inking systems known as sublimation printing. 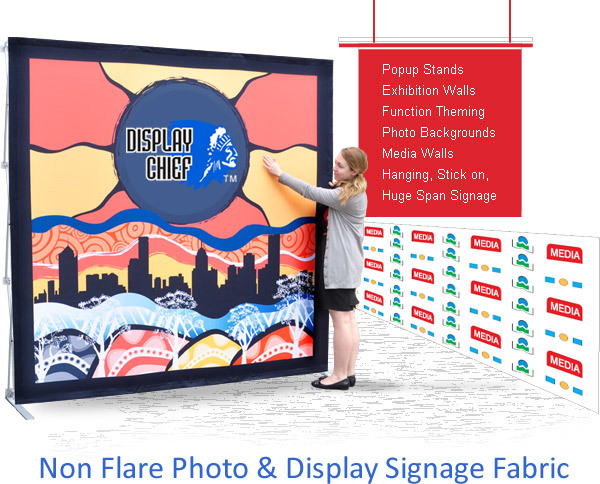 If offers high quality graphics and is mainly used for exhibition walls, hanging banners, fitted to freestanding collapsible expo stands and display work such as framed images, photography backdrops and public use applications. Display Chief can be fitted with eyelet grommets, back side hook n loop fastener, sleeved pole pockets and hemmed edges	Display Chief is a single sided 'coated' for ink application one side only. Considered 81% opaque it remains one of the highest ratings for a non blockout material for see through effectiveness. 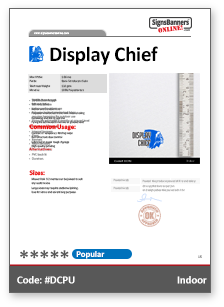 Display Chief is highly regarded amongst display makers for portable and modular consistent quality, beautiful appearance, whiteness and vibrancy. 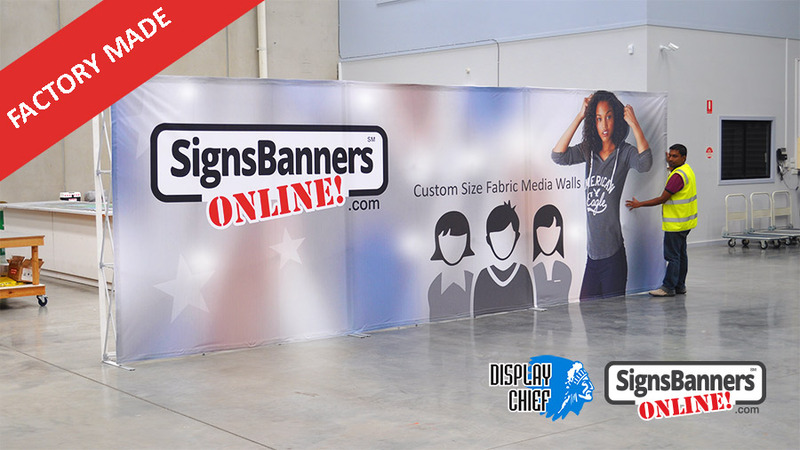 Note: Display Chief fabric printing banner is commonly purchased for portable and modular expo and exhibition site applications such as 2 feet, 3 feet, 8 feet, 18 yards or interlocking units etc. Order to suit your client and budget set. Display Chief is an excellent fabric for 'non flare, non glare' television, video and camera work. 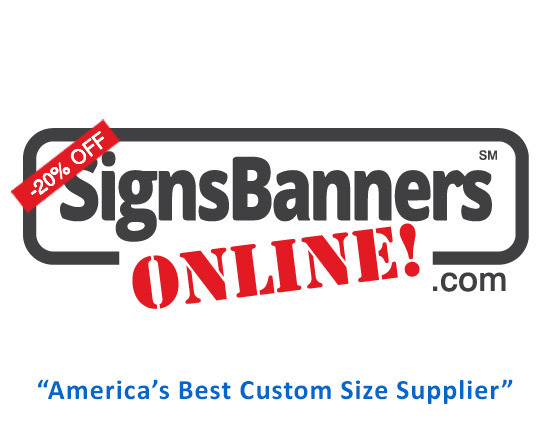 Most popular material for stage backgrounds, media and logo repeat interview walls. Popular for red carpet events, photography backdrops, media interviews, stage and expo. 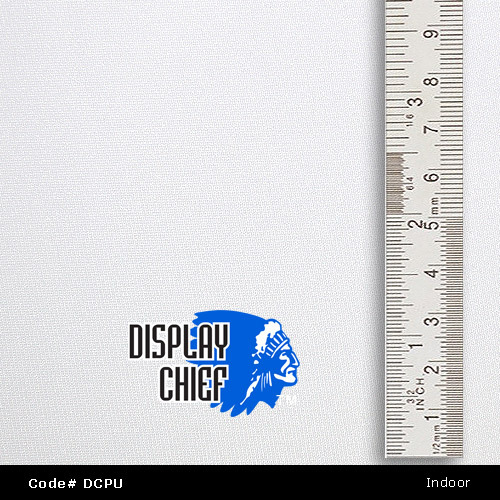 NOTE: We use and recommend Display Chief for our own signage.